Acapela Group » Infovox iVox 3.2: includes Genuine German and Australian Children Voices and Swedish regional voices. 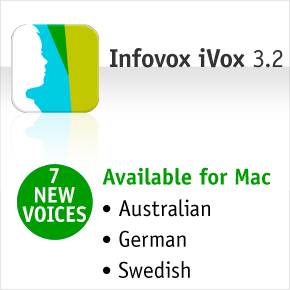 Infovox iVox 3.2: includes Genuine German and Australian Children Voices and Swedish regional voices. Acapela Group and AssistiveWare today announced the release of Infovox iVox™ 3.2 . It adds the first genuine German and Australian text to speech children’s voices for Mac OS X. The update also completes the Australian voice family, with the addition of female adult voice Lisa, and brings two new Swedish adults voices. Developed by Acapela Group and AssistveWare, Infovox iVox™ provides system-wide clear and pleasant voices to Mac OS X for blind and vision impaired users, for individuals who need audible feedback or reading support, for language learning or for people who prefer listening to their computer. 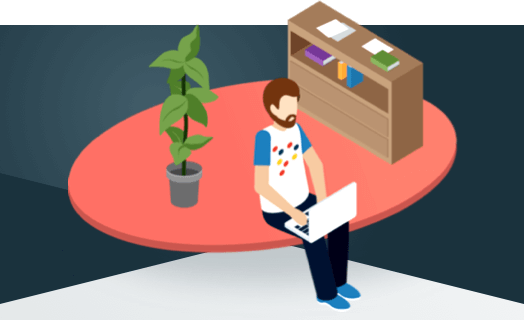 Infovox iVox brings natural-sounding text to speech within reach of many more kids, students, educators, and consumers, including people with vision, reading and speech impairments.